"Principles of Artificial Intelligence" covers equality, transparency, security and much more. Telefonica has become one of the first major technology companies to reveal exactly what guidelines it will place on the use of AI technology. 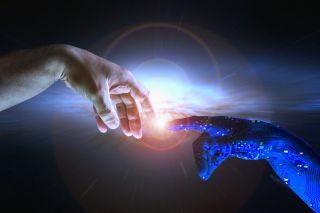 The Spanish telecoms giant and parent company of O2 has released its Principles of Artificial Intelligence, laying out how it plans to utilise the technology to ensure a positive impact on society. Promising "integrity and transparency" in its design and development of AI technology, Telefonica's rules include the company's ongoing stance on areas such as equality, transparency, clarity, privacy, and security. “We’re concerned about the possible use of artificial intelligence for the creation or dissemination of fake news, addiction to technology, and the possible reinforcement of social bias in the algorithms in general”, said José María Álvarez-Pallete, Chairman & CEO of Telefónica. Telefonica is currently hard at work developing its 5G network infrastructure, and AI could certainly play its part there, allowing the company to offload testing or analytical tasks to an AI system. Among the provisions demanded for AI in its new guidelines are that the system provide fair results, without discriminating against race, gender or sexual orientation, as well as generating "tangible benefits" for people. AI systems also need to have privacy and security by design, and be transparent and explainable, allowing users to know what data is being collected in their interactions and for what purpose.